Canadian crews landed on the podium at the world rowing championships in Plovdiv, Bulgaria, on Friday, with para-rowers Andrew Todd and Kyle Fredrickson taking gold while Jeremy Hall brought home a silver. ​Canadian crews landed on the podium at the world rowing championships in Plovdiv, Bulgaria, on Friday. 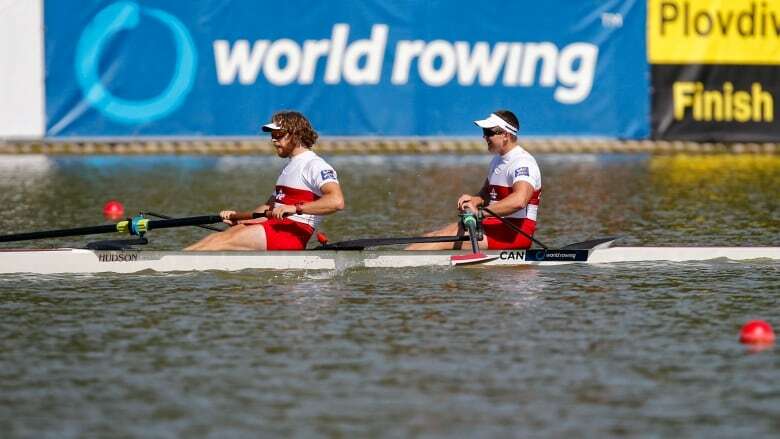 Para-rowers Andrew Todd, of the North Star Rowing Club in Dartmouth, N.S., and Kyle Fredrickson, of the University of Victoria, won gold in the PR3 men's pair final. "It's a really good feeling to win the gold and have all the Canadian para crews performing so well here," Todd said. "We didn't get caught up in any distractions and just focused on executing our race." Jeremy Hall of the Edmonton Rowing Club rounded out the Canadian medal results with a silver in the PR2 men's single final. "I knew at the 750m mark that I was in contention, so I just went for it and completely emptied the tank," Hall said. "My coach always said that I have physical attributes to be successful. "I am still working on the technical aspects of the sport, but we are seeing progress and that's always positive." In other action, the women's eight, and the men's pair of Taylor Perry and Mackenzie Copp all advanced to their respective 'A' finals on Saturday.